The Asia Grand View Hotel, in operation since August 26, 2011, has 20 distinct, comfortable, clean and elegant rooms inspired by the contemporary Asian arts and Palawan crafts – the 35 sq. m. Superior Room (Bay View, 2 rooms), the 46 sq. m. Superior Room (Garden View, 6 rooms) and 46 sq. m. De Luxe Room (12 rooms). 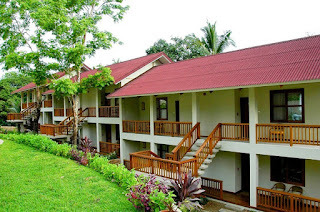 Price range (per night): PhP6,600-7,700. 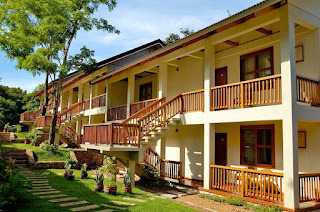 All rooms have airconditioning; fan; comfortable, firm beds; quality linen; nice flat screen cable TV; DVD player; intercom; mini-bar; in-room safe; walk in closet; balcony and free internet access (wi-fi). The private bathrooms are roomy, with centralized water heater and wooden sliding door, and are divided into 3 sections - shower, water closet/lavatory and the dresser. 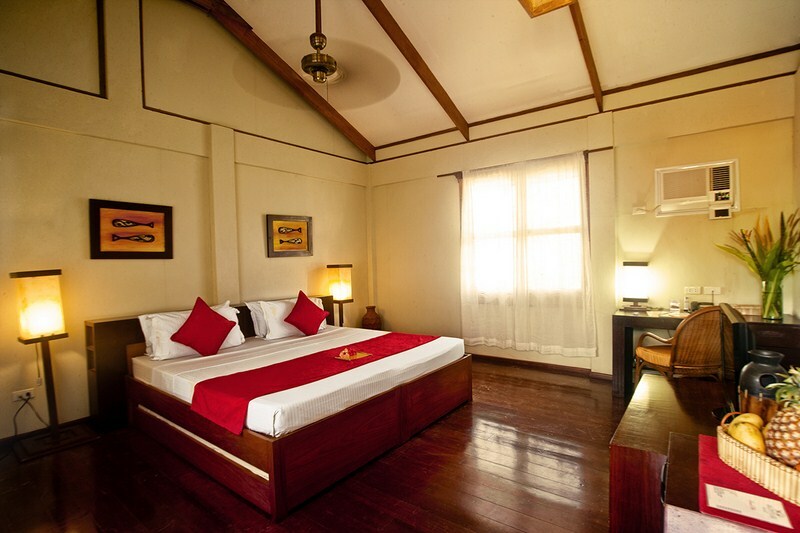 De Luxe rooms, with their luxuriously homely feel, have 2 beds and a hammock on the balcony. The second floor rooms have wooden floors while the ground floor has tiled floors and higher ceiling. The use of wood in the decor was a great touch. The Bayview Bar & Restaurant, its family-friendly food and beverage outlet, is especially enchanting during cocktail hours when guests can gather to watch the breathtaking sunset, one of the most spectacular one could ever see. 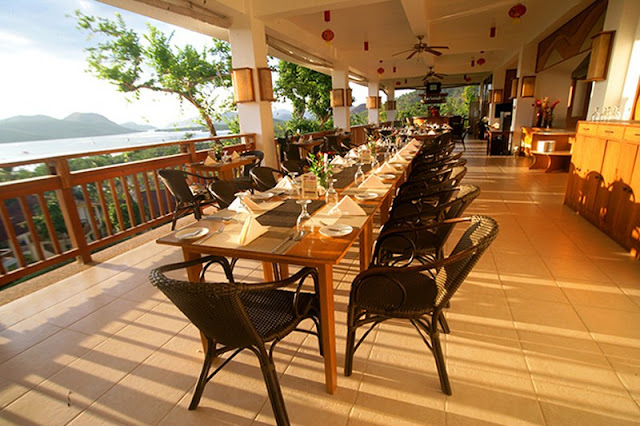 This restaurant, at the highest point of the property, has a view deck/terrace with an excellent, picturesque view of the town and Coron Bay (here, you’ll know why the hotel is called "Asia Grand View"). Its atmosphere is good, with a cool sea breeze and lovely ambiance. The wine selection is very good. You can also enjoy stargazing while being serenaded by the cicadas from the nearby hill. Every night, the warm and amiable Jimi and Maria Ormita, a lovely couple with great humor, performs acoustic entertainment and will serenade you while you are dining. It is probably the coolest place in Coron town. The restaurant has an extensive and diverse menu, planned by consultant chefs in Australia and Germany that includes fresh and tasty Filipino and Western meals. It offers good choices for breakfast (bacon, meat, cheese, salad, cereals, etc.) including a omelet bar. As a guests’ option, romantic, candle-lit dinners are also offered, either at pool side or the rooftop balcony. Weddings and special events, with remarkable, simple yet stylish set ups and full attentive services, may be held at the restaurant, function rooms, by the pool side or by the garden. The two-tiered (you can jump down, over a waterfall, from upper level to the dive pool), beautiful, clean, chemical free salt water infinity pool, the centerpiece of the grounds, is inviting, crystal clear, quiet and the water is not so cold. 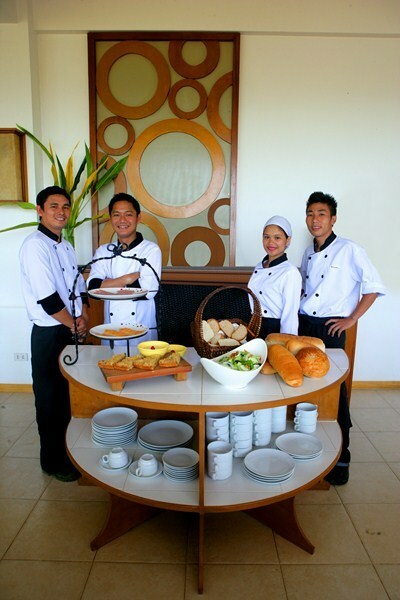 Open from 7 AM to 11 PM, its cleanliness is maintained on a daily basis and has a depth of from 2 to 6 ft. The hotel is located on a hill so there are quite a number of steps to go to and from the rooms (which are scattered at different levels) to the restaurant. The walk up and down may be tiring but it is not an unpleasant walk. 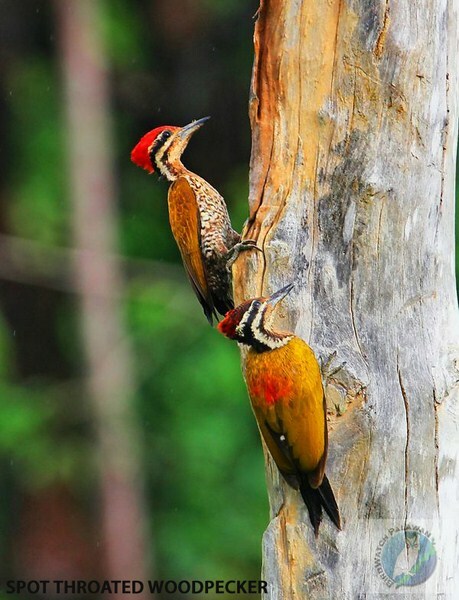 In fact, it adds to the charm of the place as the path goes through the lush, colorful and well kept gardens, lovely cashew trees, bougainvilleas, gumamelas and passes by the infinity pool. The steps leading down to the rooms and the pool are well made and actually wide enough. The front desk arranges any tours that you would like such as island hopping and trips to Calauit Safari Park, Kayangan Lake, Mt. Tapyas, etc. Its Coron Reef Dive Shop, opened last June 1, 2015, has professional dive team of PADI and SDI-accredited dive instructors and dive masters headed by Swiss national Mr. Martin Huber. 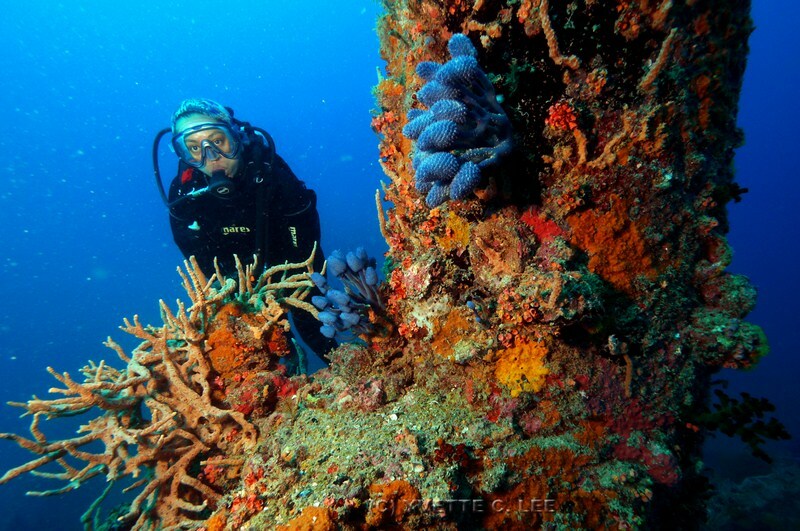 They offer world-class, reef and coral diving at 11 World War II shipwrecks, Barracuda Lake, the marine park, Siete Pecados, etc. and dive safaris around Busuanga & Apo Reef. One of the resort’s pools is specially designed for dive training. 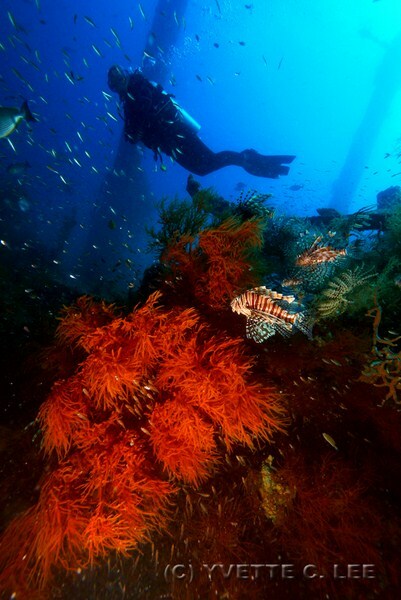 They also offer technical diving and dive courses up to instructor level. 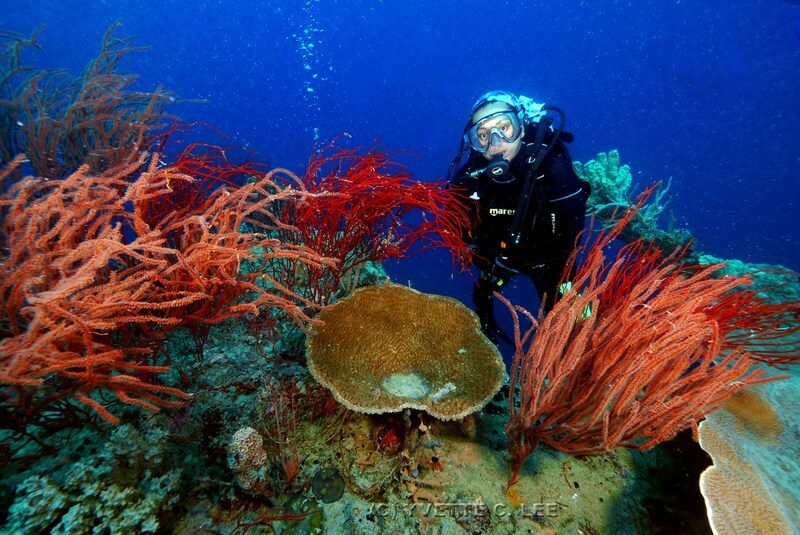 Coron is also known for the rare dugongs. The hotel offers affordable massages in your room or in their outdoor massage tent within the premises. 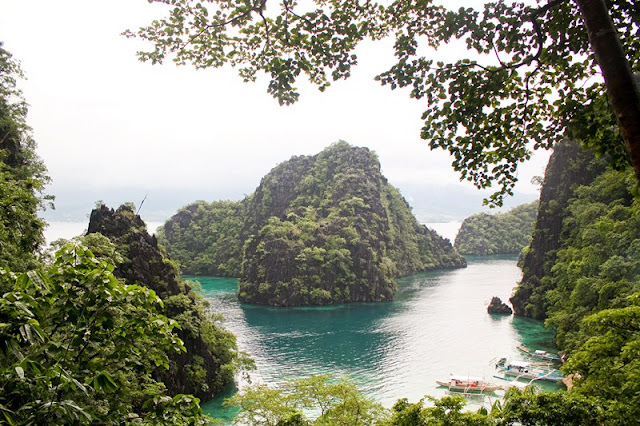 They also have very affordable tour packages for going around the island. For fitness buffs, you can do a 4.5-km. walk around the Governor Drive-National Highway loop (you can ask for directions from the staff or look it up in map). The hotel also has a nicely appointed lobby area, billiards, indoor games, a karaoke area, business center with internet access and offers shuttle bus service, room service, free parking and airport transportation. During brown outs, the hotel has its own generator. Their impeccable hotel service is top notch. The warm and friendly staff of Asia Grand View, another strong point of this hotel, was very helpful, with always a smile on their handsome and pretty faces. They seem to genuinely enjoy interacting with the guests and making them feel at home. When you board the pick up van for your trip back to Busuanga Airport (only 35 mins. away), the hotel staff, Jimi and Maria will all gather at the entrance and serenade you with a farewell song as they bid you a safe trip home. This environmentally-friendly hotel supports efforts to conserve natural resources. 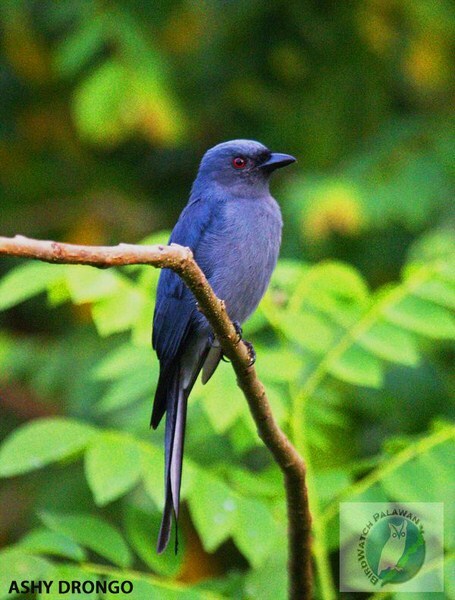 It is actually surrounded by a bird sanctuary (you can see up to 27 species of birds here) which was completely preserved during its construction. They also plant their own produce and guests can pick their own fruit off the trees. 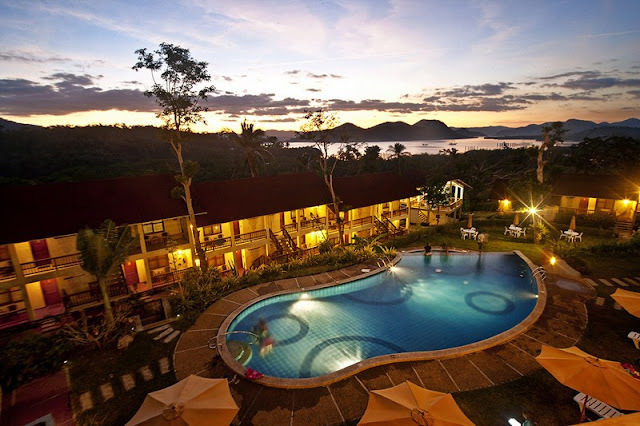 The location of the hotel is very nice - not along the National Highway and far away enough from Coron town to be really quiet but near enough to be able to run into town (just 1 km. away), on a local tricycle (PhP15 fare), for some souvenir shopping, and the pier (the gateway to the charming underwater world of Palawan). They even have accredited tricycle drivers who can be hired to take guests around town. 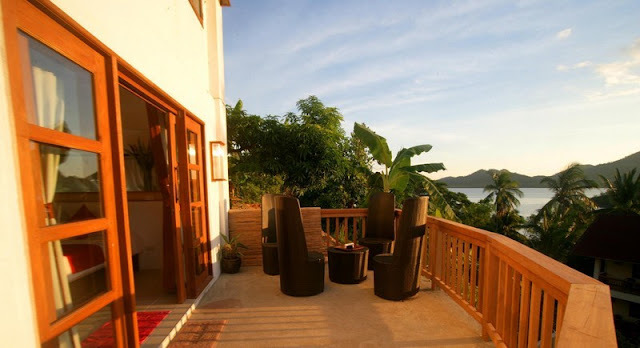 This chic, idyllic property, truly a perfect place for travelers who want a combination of ambiance and comfort, is a little gem and hidden getaway which is full of surprises and exceeded all our expectations. One ideal venue I would not hesitate to return to for unparalleled relaxation, elegance and comfort combined with personalized Asian hospitality. 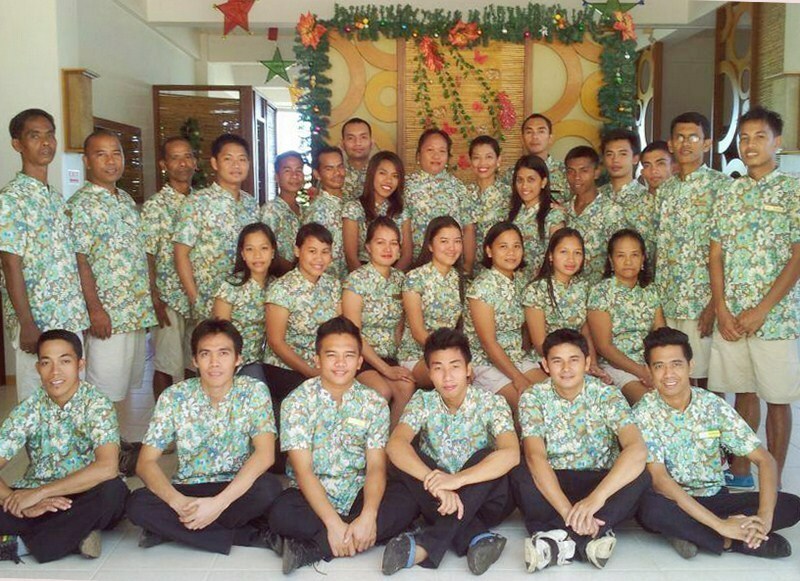 Asia Grand View Hotel: Governor's Ave., Jolo, Brgy. 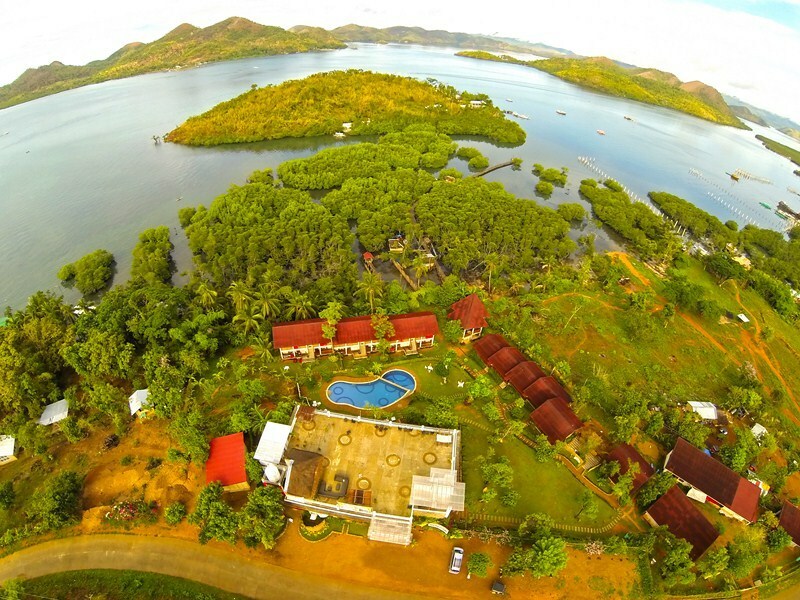 5, Coron, Palawan. Tel:(+632) 788-3385. Mobile number: (0999) 881-7848. E-mail: gsd@asiagrandview.com. Manila sales office: Unit 504, Richmonde Plaza, 21 San Miguel Ave., Ortigas Center, Pasig City. Tel: (+632) 695-3078 and 531-8380. Mobile number: (0917) 550-7373 to 75 Fax: (+632) 695-3078. E-mail: info@asiagrandview.com. Website: www.asiagrandview.com. F.Y.I. is the common abbreviation for "For Your Information" or "For your Interest." The travel blog F.Y.I. aims for these things, providing the reader with news and information on people, places and events that would interest the avid traveler and tourist, but it also aims to be much more. F.Y.I. also wants to "Fire Your Imagination," as readers gets to know the movers and shakers in the tourism industry (through interviews); find out where to titillate the palate (restaurant reviews); rejuvenate your body (spa reviews); get entertained (movie, musical and concert reviews); unwind and relax (hotel, resorts and inns reviews); satisfy your craving for history and culture (museum reviews); and find out what's being celebrated and where (festival reviews).